Atrial fibrillation (AF) affects around 1.4 million people in the UK, and an aging population means that numbers of people affected by AF is expected to increase. Therefore, there is a need to understand the link between disease progression and clinical outcomes in order to provide more effective management of this condition. As it stands, chronic AF patterns are associated with increased thromboembolic and major bleeding events compared to PAF. Early AF recurrence and persistent AF is associated with increased mortality and risk of stroke compared with PAF. Furthermore, disease progression appears to be linked with a higher risk of adverse events. However, the bigger picture is not yet complete, and more research is needed in order to establish the AF pattern with clinical outcomes. 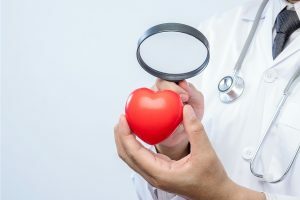 Researchers found that patients with permanent AF were older, had longer AF duration and accumulated risk factors including hypertension, diabetes, COPD or valvular heart disease. Patients with permanent AF had the highest proportion of thromboembolic events and major bleedings. Permanent AF was associated with development of heart failure, and AF in general was associated with coronary events. In terms of AF progression, PAF did not necessarily evolve into permanent AF, and a higher proportion of patients with persistent AF progressed compared to PAF. Heart failure was identified as a clinical predictor for AF progression. Although this presents a clearer picture of the relationship between AF patterns and arrhythmia progression, more research is needed to ascertain whether targeting the clinical predictors can reduce the AF progression rate. This study also raised the question as to whether preventing AF progression improves outcomes, and whether this approach should be integrated into future AF management in clinical practice. The natural history of atrial fibrillation (AF) is such that paroxysmal forms are felt to progress to more persistent forms over a median of around 4 years. Whilst the link between AF and adverse clinical outcomes, particularly that of stroke, is well established, the difference in outcomes between AF sub-types is not clear. There is no convincing evidence that persistent AF is associated with more thromboembolic risk than paroxysmal AF. The PREFER prolongation study discussed by Miss Owen confirms that AF is a progressive condition but does not help clarify if retarding this progression affects outcomes. It is recognised that the thromboembolic risk stratification tools widely used in clinical practice (CHA2DS2VASc) are not always precise and the mechanism of elevated stroke risk in AF has also been the subject of much debate. Whether AF itself is simply a marker of an atrial myopathy that leads to a pro-thrombotic state is an intriguing notion. This might explain why no difference in thromboembolic outcomes has been clearly demonstrated. All recent iterations of international AF management guidelines do not recommend distinguishing between paroxysmal and persistent AF when it comes to assessing thromboembolic risk. In the absence of any evidence to the contrary, it is crucial that this is emphasised. As Miss Owen states, the number of patients with AF is growing and effectively addressing stroke risk in this group is a major opportunity to prevent morbidity for a great many.